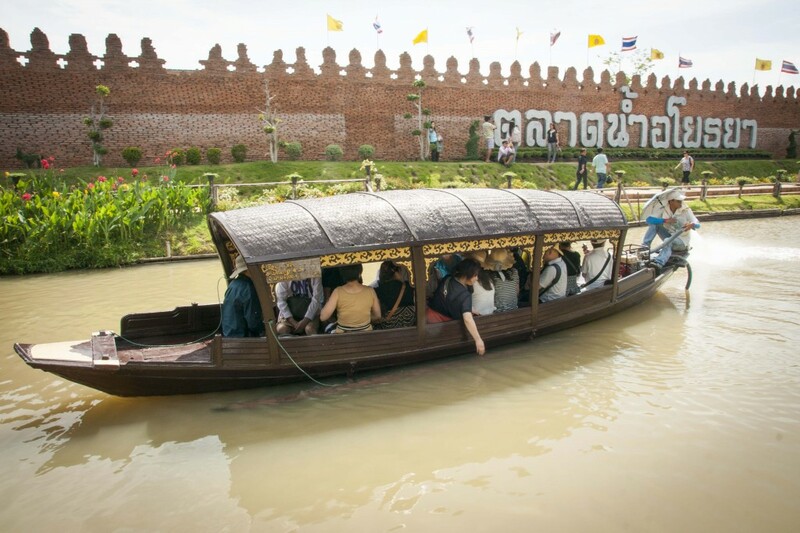 My family and I visited Ayutthaya since I was 10 years old, and most often we made a trip to the historical park. I still visit this historical town from time to time because it is only an hour away from Bangkok. The other day I saw my friends’ photos of the floating market so I decided to check it out myself. 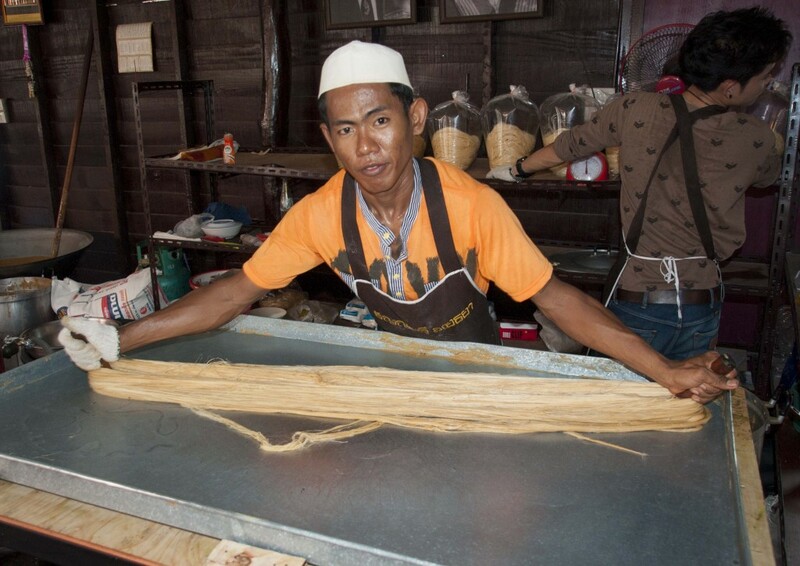 The market is called Ayothaya (อโยธยา) which is the old name of Ayutthaya(อยุธยา). 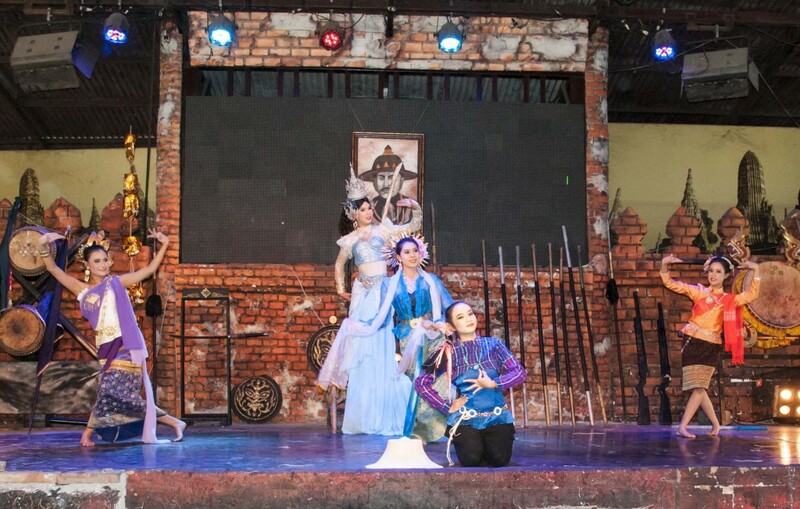 It is located outside the old city wall, situated close to Mahaeyong Temple and next to Ayothaya Elephant Camp. 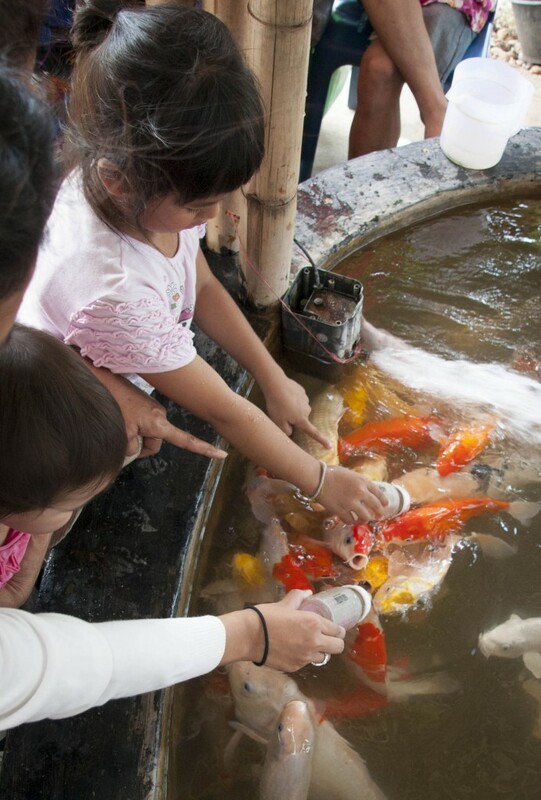 This great Thai market makes an excellent day trip. The main part of the market is alongside a waterway surrounded by classic Thai-style stilt houses. There are about 50 boats on the lake selling food and drinks, and about 200 shops are in the market. Overall, the feel of the place is quite touristy with all the usual gift items, however it does have a genuin Thai feel to it with regards food and ambience. 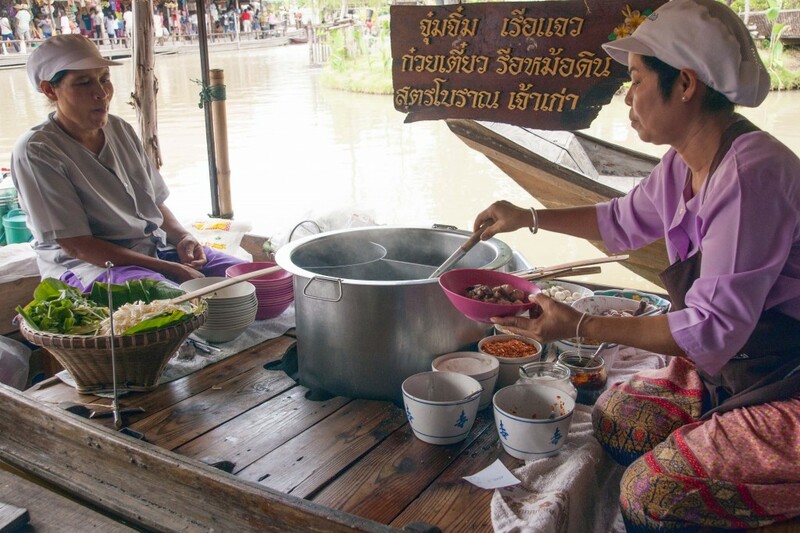 You will find several boat noodles stores here since Ayutthaya is famous for it. There are also plenty of river prawns and sea food available. Oh! 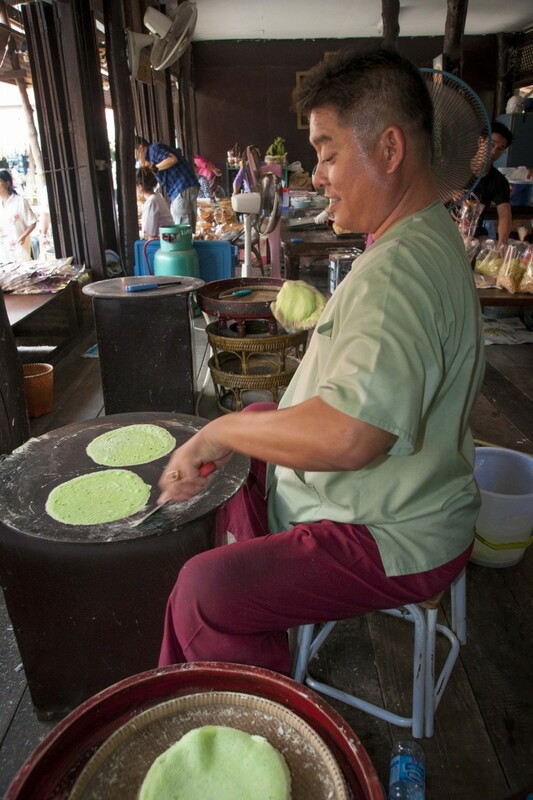 and of course Roti Sai Mai (โรตีสายไหม) or Thai style cotton candy which is the signature sweet of Ayutthaya. It was interesting to see how Saimai was made. If you like Thai massage, there are several riverside places available including a fish spa to relax your feet after a long walk. Thai massage by the river, very pleasant! What I like about this place is there are short 20minute boat tours available so you can see the atmosphere around the market. 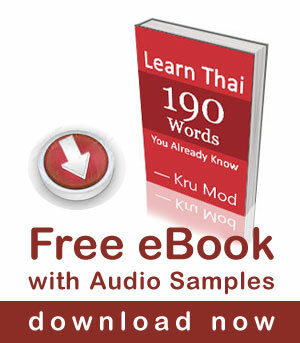 It costs only 20 Baht per person for both Thai and foreigners. I also enjoyed feeding elephants, goats, and the biggest water buffalo in Thailand! He is 30 years old. His owner told me that the average age of a buffalo is 35-40 years. This elephant is so smart and cute! 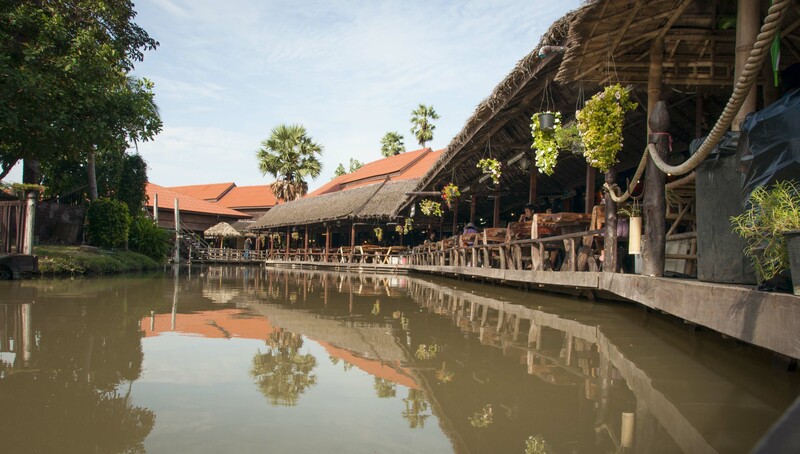 Everyday, this floating market hosts Thai dance and song performances — three shows on weekdays (12:00, 17:00, and 19:00 pm) and four shows on weekends (11:00, 12:00, 17:00 and 19:00 p.m.).The show is free of charge. I took a train from Hua Lum Pong train station in Bangkok to Ayutthaya. It took only one hour. I chose to take a Songtaew (a shared mini truck taxi) and get of at Wongwian Chedi วงเวียนเจดีย์ (Chedi roundabout) and walked about 500 meters to the market. If you don’t want to walk, the alternative is to take a taxi motorbike directly from in front of the train station to the market. The market is open everyday from 10AM to about 9PM. Thank you Paul for your comment. Hope you will have a great time in Thailand. 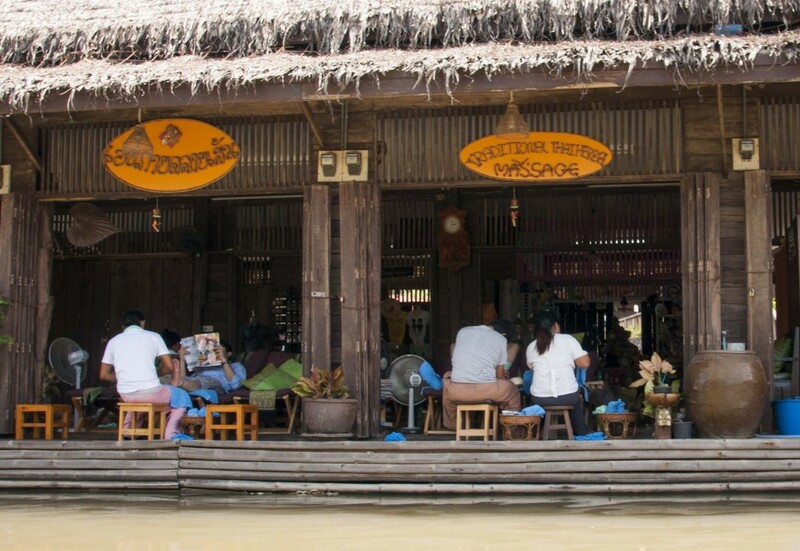 How do I get to this floating market? Tnx Mod, for all your lovely and interesting information and pictures of your country.